I love re-purposing things, especially when it comes to holidays. Your holiday decor has a short shelf life, so you might as well use it in every way you can. 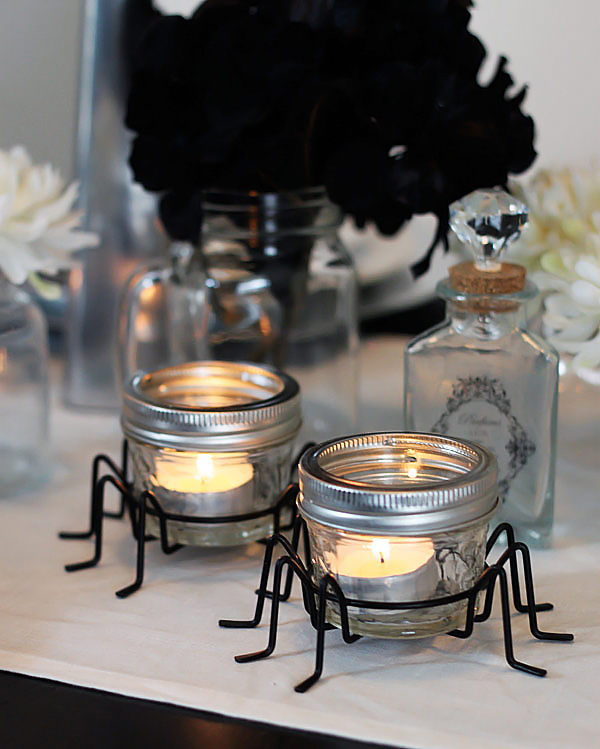 Here’s a great example of re-purposing from my own Halloween tablescape. 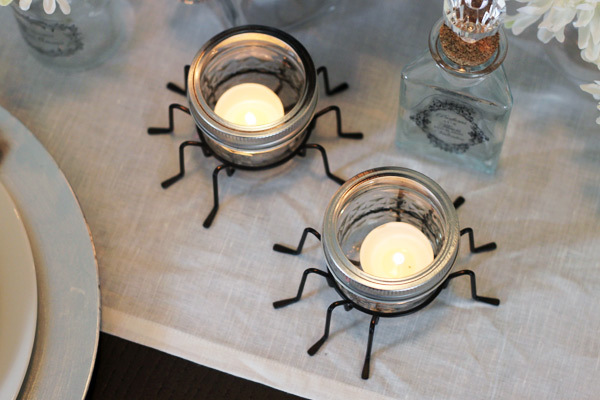 Last year, I was given some spider cupcake holders from Crate & Barrel. They’re insanely cute cupcake holders and made it into a dessert buffet I put together last Halloween, but I wanted to be able to use them even more. After baking my fair share of mason jar cupcakes, I realized that 4-ounce mason jars are about the same size and shape of standard cupcakes. 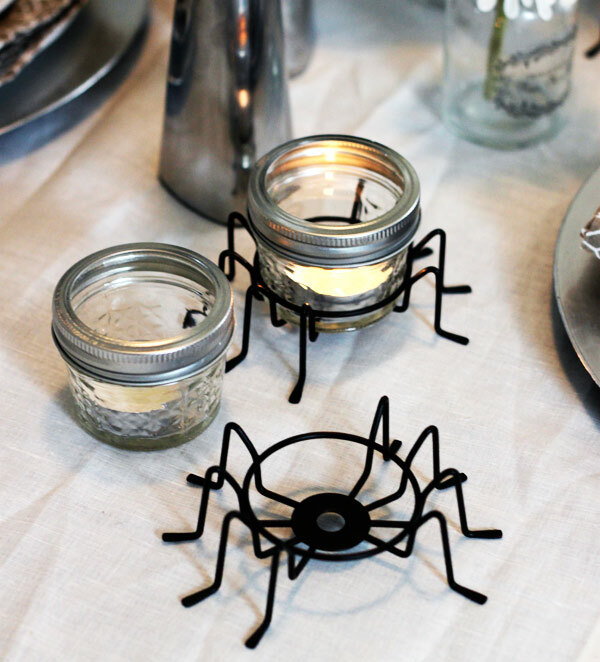 They fit perfectly inside these spider cupcake holders, and with a tea light dropped inside, make for some creepy crawly votives to decorate a Halloween table. 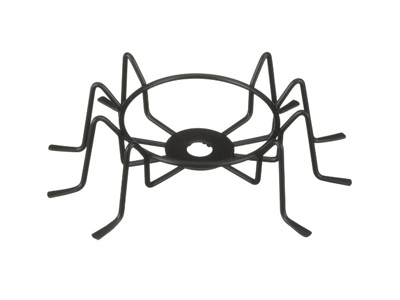 Unfortunately, Crate & Barrel doesn’t carry these cupcake holders anymore, but I found the exact same set of Black Metal Spider Cupcake Holders on Amazon ($9.99 for a set of 4). Of course, you can expand this mason jar + cupcake holder idea to any cupcake holder for any occasion. I think it would be great and just a little bit Southern (you know I love that! ), to arrange mason jars with tea lights onto a large cupcake display or tower. The sky’s the limit! I really really find your blog very inspiring ! They also have them at Michaels right now. With 50% off!